Well this is a little glimmer of sweetness in a pretty frustrating day for me! We Starz know and love Vaughn for giving us the Brandy Blog (.com) and for always having the genuine sitdowns with Bran. She does some of her best interviews with him. 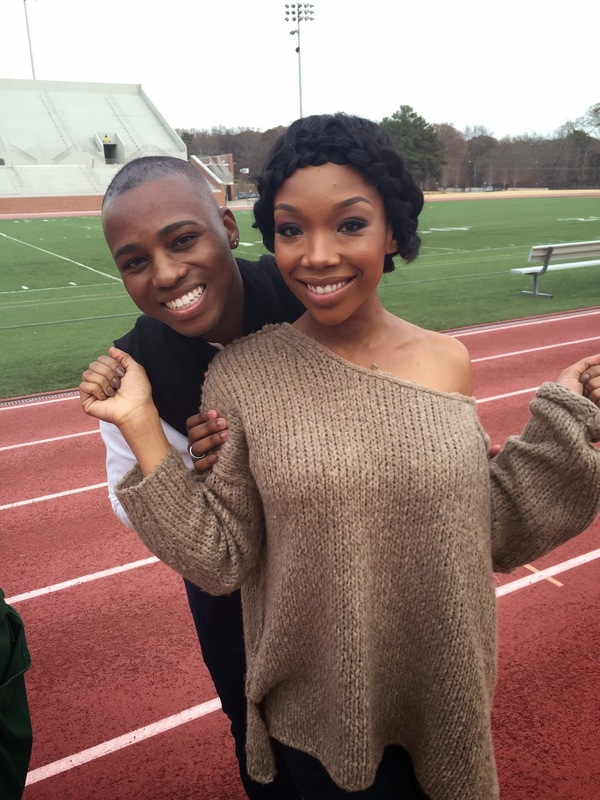 Brandy sat down with Vaughn while on set shooting her television show - The Game. They covered a lot of stuff. She spoke about everything from new music to what her social media bios mean. Vaughn being a true Star himself made sure to tell her that we want a Christmas song or two! She was clear that we won't be getting the album soon, but she is working on it and due to be back in the studio this weekend. As for who she wants to work with she mentioned really loving Tamar, JHud, and especially Jhene Aiko- which is cute because when we interviewed Jhene a few years ago Bran was top on her list of inspirations. I know that means a lot for Jhene to hear that Bran wants to now work with her! Brandy also opened up about her spirituality and how she's growing right now in that area. I really love how transparent she is in this interview, and I love even more that she did it with Vaughn because this is truly for the Starz! Really loved watching this. Thanks to Vaughn who is a sweet heart through and through for getting this exclusive with our fave! Now.. we're waiting on that Christmas song to drop... Vaughn was in the flow when he said Oh Holy Night as it is a fave of mine sooo...................... come on Bran!!! Check the full interview below & head over the TheBrandyBlog.com for more photos!